If you go ahead and purchase a Galaxy S9 or S9+ from Samsung, during the checkout process, you’ll be able to choose one of those two bundles. The Power Bundle costs $49 and includes a wireless charging pad, battery pack, and car charger. The Ultimate Play Bundle costs $99 and includes a wireless charging stand, IconX wireless buds, and a Gear VR. 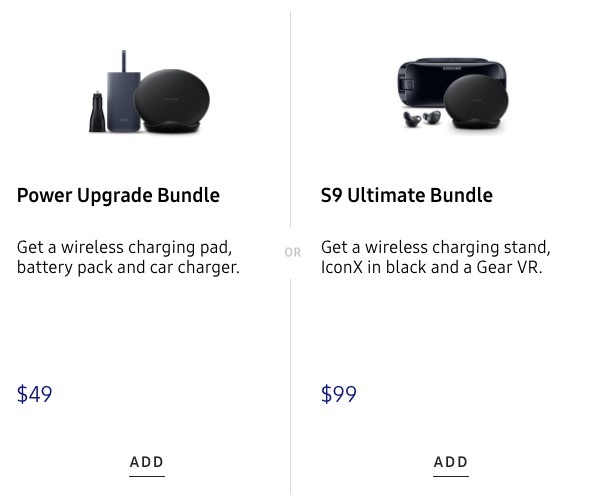 I’m not sure what the total individual price would be of the Power Bundle (Updated: $170 value), but the Ultimate Play Bundle is estimated at around $400, yet you pay just $99. 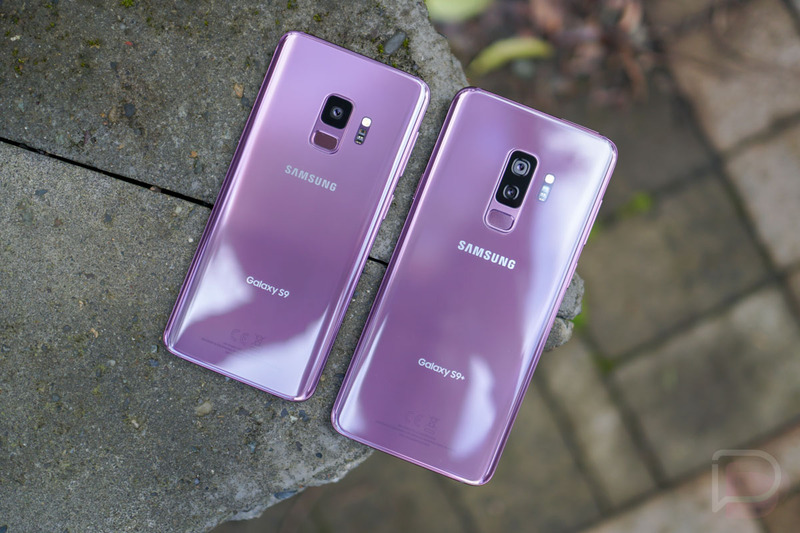 Let’s not forget that Samsung always runs a really good trade-in deal too (up to $300 off immediately), so if you trade-in your current phone for a Galaxy S9 or S9+, you could get a big discount on the phone plus a bunch of goodies for an extra $100. This bundle deal is available from March 16 to April 6.